That’s today’s lesson for Claretian priest Fr. Tony Diaz. He’s the organizer of San Gabriel Mission’s May 25 Build the Dreams Scholarship Fundraising Dinner. His fatal error was deciding to honor admitted child molester Bruce Wellems along with actor Edward James Olmos. 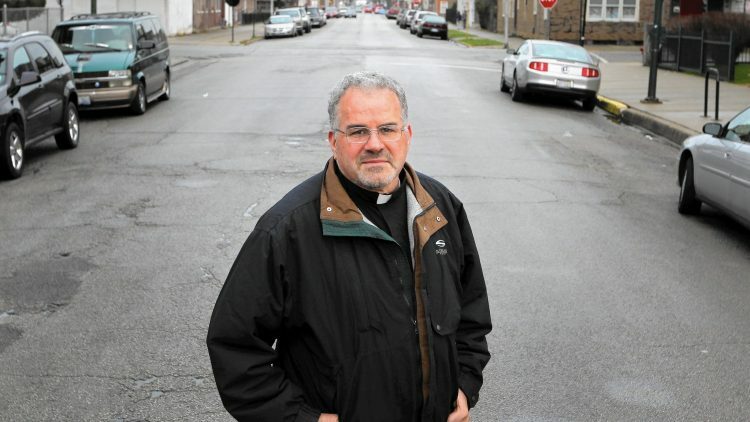 Wellems is a priest of questionable standing who has been banned from the Archdiocese of Los Angeles, removed from ministry in the Archdiocese of Chicago, and told he may not act as a priest by his own order, the Claretians. In fact, he couldn’t even answer a reporter’s question as to whether he is still a priest at all. Why? Wellems admitted to molesting a seven-year-old before he became a priest, is being sued for abuse, and has allegedly admitted to other misconduct. When a reporter from the Pasadena Star News asked Fr. Tony Diaz about the May 25 event, Diaz stated that he had full permission of the Archdiocese of LA to honor Wellems. What did the Archdiocese say? [A] spokesman for the Archdiocese, said no such permission was given. Wellems is no longer going to be honored at the event, although there is no word as to whether or not he will be attending. The Claretians have yet to apologize to Wellems’ victim. A couple of reps for the Archdiocese did tell the victim they were sorry, but only because he’s been hounding them to do something. Here’s something revolutionary: how about honoring his victim? This is a reminder of the charisma of many or most priests accused of abuse. The charges of abuse have persisted in spite of Fr. Bruce Wellems’ personal charisma. Unfortunately personal charisma can be a powerful antidote to scuttle abuse charges. So far this has not worked 100% for Fr. Wellems.